But Broadcom's director of tech marketing, Mark Jones, still sees a bright future for Fibre Channel, he said last month. In a blog post for the Fibre Channel Industry Association, of which he is president, he pointed to flash storage in data centers as a future growth market for the technology, as work on a specification for Non-Volatile Memory Express (NVMe) over Fibre Channel is almost complete. Neither company said how much they expected the non-Fibre Channel part of Brocade to sell for, although Broadcom described the business as valuable. 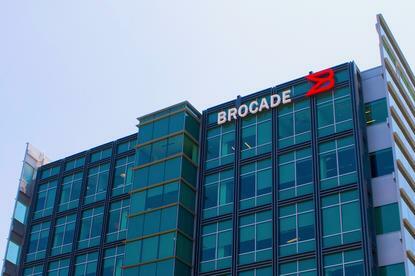 Putting a price on the wireless part of the business is simpler, though: When Brocade acquired network equipment vendor Ruckus Wireless in April, the deal was valued at $1.2 billion. It's been only nine months since Broadcom itself was an acquisition target: It was bought by Avago Technologies, which adopted the Broadcom name for the combined entity. The company designs and sells analog and digital semiconductors for wired and wireless communications, enterprise storage, and industrial systems. Its products can be found everywhere from home automation devices to data centers.